NEW PRODUCT - ORDER NOW! 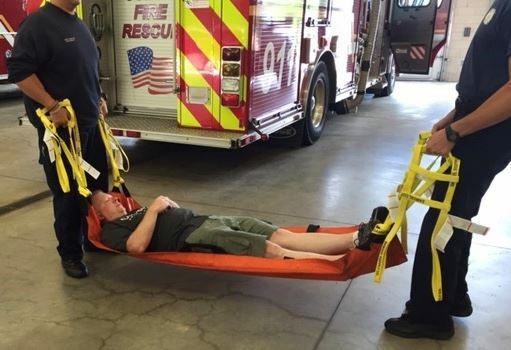 Many times, in an emergency situation, a person needs to be transported from a room on an upper or lower floor using a backboard or stretcher. This transportation may include winding staircases, doorways, walls and other obstructions. 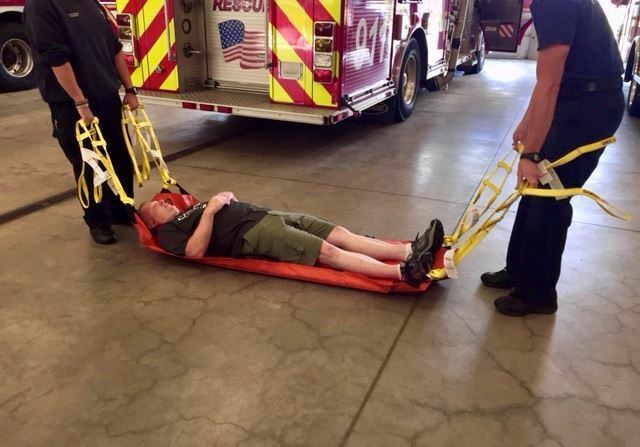 To put the patient on the stretcher the first responder must bend over and then lift up to about waist level. 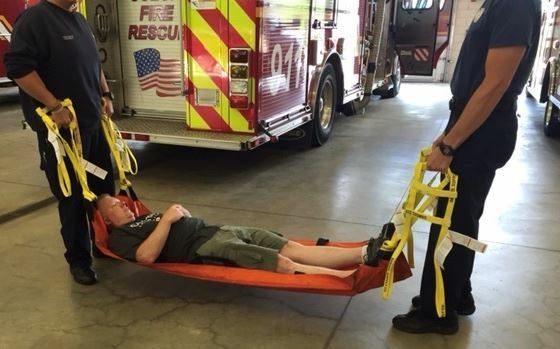 This movement puts enormous strain on the back, and can be a primary cause of many injuries to first responders. The use of the Nash Straps will help reduce this stress. 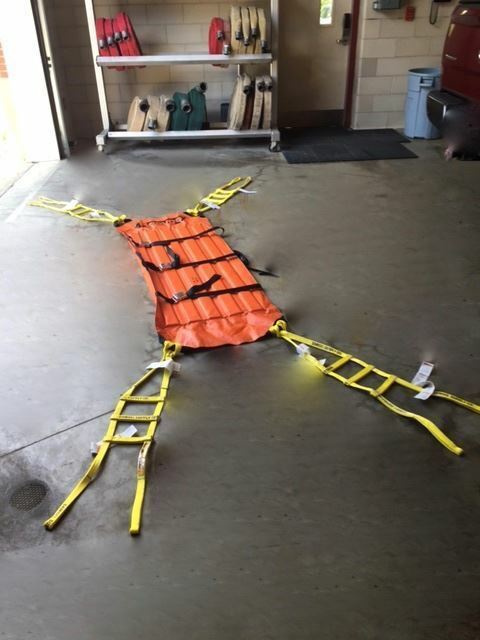 Each of the four corners of the stretcher will have a collapsable ladder style handle. One each for four people, or two each for two people. 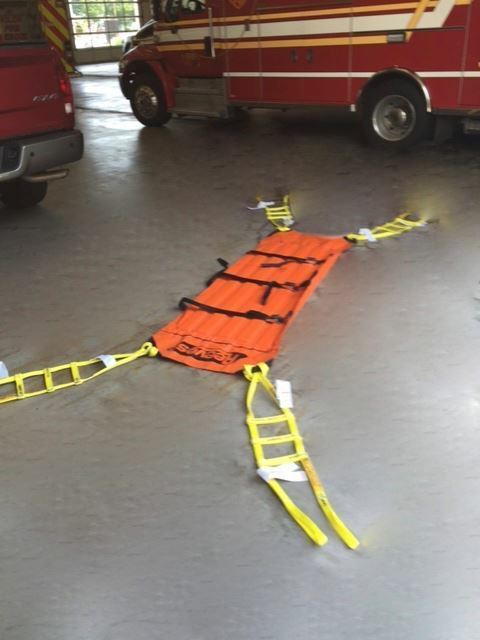 This will allow the first responder to stand in the nearly upright position while lifting the patient (maybe as little as several inches) and removing them to the definitive transport system. Standing upright will greatly reduce strain and stress on the health care provider thereby reducing injuries. It also allows for rescuers of different heights to lift at their own comfortable zone thereby helping to keep the patient level. Another benefit would be how low the patient is to the ground. This will make for easier adjustments during transfer, and reduce potential further injury should they be accidentally dropped. The Nash Strap can also be used as a hauling system in an “active shooter” type scenario where first responders are using a quick load and go tactic. 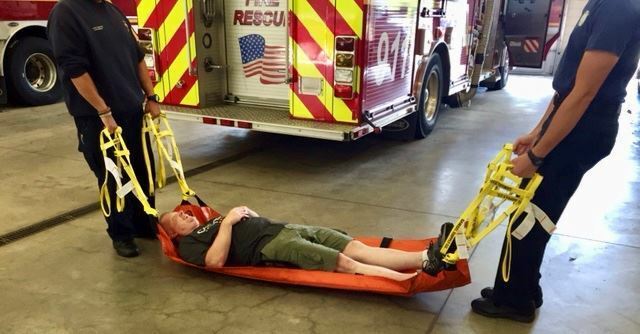 Two straps can be used to drag the victim quickly along the floor in a sled type fashion. Note: The yellow straps in the photos are the Nash Straps.